Definition: Applied to art, means that which is in the forefront, is innovatory, which introduces and explores new forms and in some cases new subject matter. To define Avant Garde in around 300 words, I've decided to analyse 2 of my favourite album covers that I think fall into this classification. 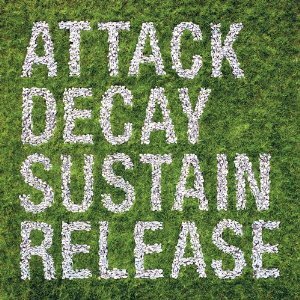 The CD below is by Simian Mobile Disco a DJ with the album titled Attack, Decay, Sustain, Release. I picked the cover because of how it pushes boundaries within design, for an electronic genre of music you wouldn’t expect the letters to be made out of shells and surrounded by grass. I think the piece has been made digitally because of the accuracy in the shapes of each letter, however the cover shows experimentation and an unusual way of representing this type of music. 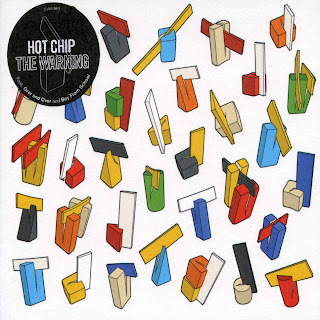 The term Avant-Garde has been used so regularly it has almost lost its own meaning, however I think this CD fits into the category of being Avant Garde due to its irregular way of presenting information. I like how the type is all uppercase, this works well to catch the viewers attention, and also plays on the characteristic of pushing boundaries. This is my second album cover, The Warning by Hot chip, I think the album cover is Avant Garde for many reasons other than just pushing boundaries. The shapes/building blocks on the front cover aren’t something that you would see or or think about everyday, they appear to be very futuristic and the way they have been set out and arranged engages you as a viewer. A range of pastel light colours have been used to compliment each other, yet if you were to have used them separately I think they would loose their appeal. The design leaves us as the viewer to make up the answers to the questions it creates by using an unusual subject matter. I think without knowledge of when the piece was made (2006) a viewer could be told that it was from the 70's or 80's and it would be believable. Exploration of shape is this piece's main characteristic that pushes it into the catagory of being Avant garde. The repetition of dissected blocks/bricks works well to stimulate the viewer into creating their own perception of the piece, mixing all the shapes together to make our own new subject matter. This exploration of multiple different forms shows that simplicity works and that the mind can wander, a good example of being Avant-Garde in relation to pushing boundaries within design.